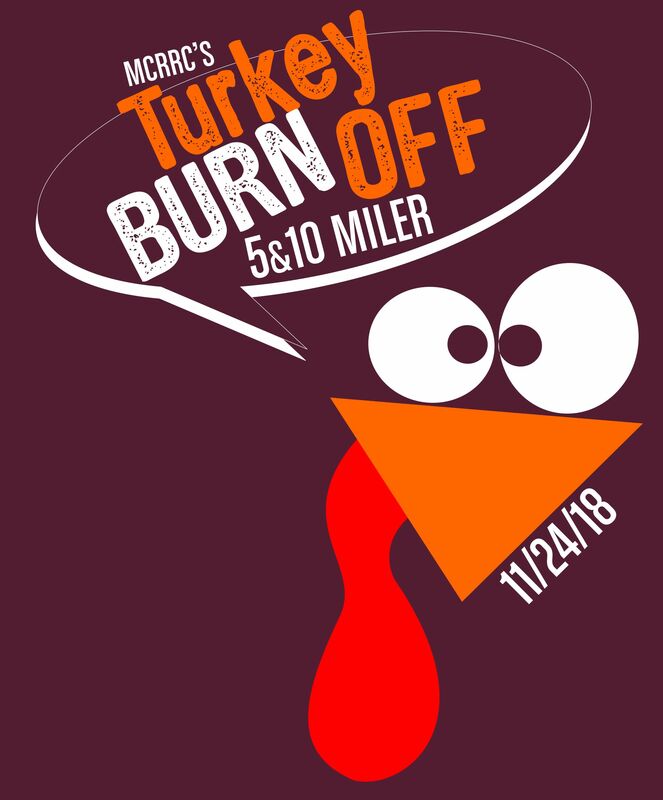 Work off those extra holiday calories at one of our most popular club races, the Turkey Burnoff 5 and 10 mile (CS) race at Seneca Creek State Park in Gaithersburg. The course is scenic (double loop for 10 milers) and you’ll burn off that third helping of pumpkin pie on the gently rolling hills. The park deer occasionally make a cameo appearance, and they don’t brake for runners! All runners need to be in the park by 8:15 am. Registration is race-day only for MCRRC Members, so plan to arrive at least 45 minutes early to park and walk to the signup area. If you have your 2018 low key series bib then you just need to show up early for parking. Again this year, we have added the option to purchase a technical shirt with the race logo. 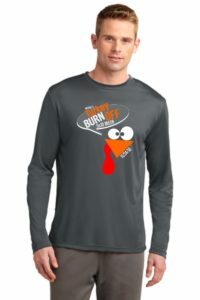 If you are a member & you’d like a shirt, please pre-order from the race store by November 15th. Advance purchase only! Non members have the option to pre register for the race ($10 for either the 5 miler or the 10 miler). 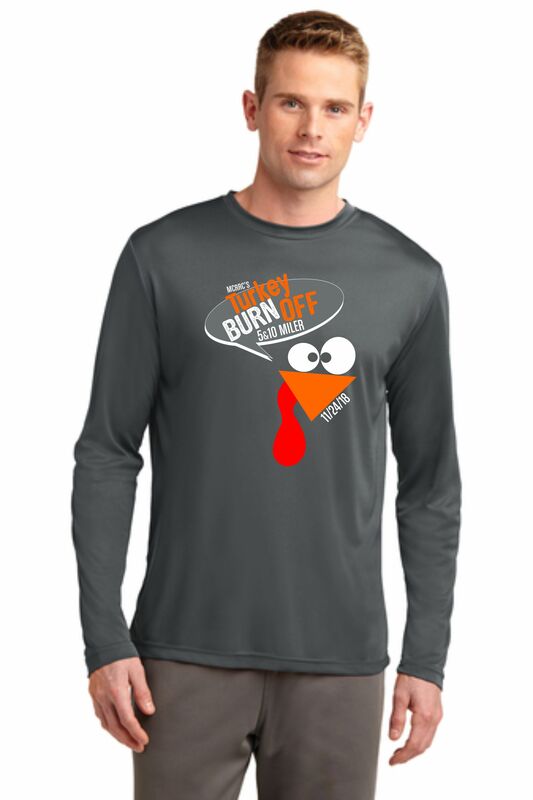 You can also order the race shirt as well ($20.00). Avoid long lines on race day & register online! Online registration will close on November 23rd at 6 pm. Race day registration for non members will be available. REGISTER ONLINE NOW! The course has rolling hills while running across a dam and through the woods on park paved roads. Both the 5 mile and 10 mile start and finish in the same location. The park has limited parking. Please make every attempt to carpool and arrive early. Per Seneca Creek State Park management’s request, the gate at the ranger’s booth (where you would pay the entry fee during warmer months) will be closed at 8:15 AM sharp. You must arrive before then in order to park in the grassy field near the Start/Finish area. If you arrive at 8:15 AM or later, you will have to park in the admin office parking lot and walk/run a 1/2 mile to the Start line. Don’t delay and avoid having to climb one extra hill!